In your choice of bold yet neutral graphic hues to mix or match, Sunpan’s Alba Bar Stool is crafted to last of stable stainless steel with just the right touch of gleaming sheen. Featuring a footrest and expertly upholstered in eye-catching and enduring imitation leather, the Alba Bar Stool sidles up to Sunpan’s Alba Bar Table with ease, while also offering a clean-lined and comfortably cushioned contemporary complement to many other modern table styles. Faux leather seat blends style and comfort. Stainless steel frame and footrest are both strong and dependable. Part of the Ikon collection. 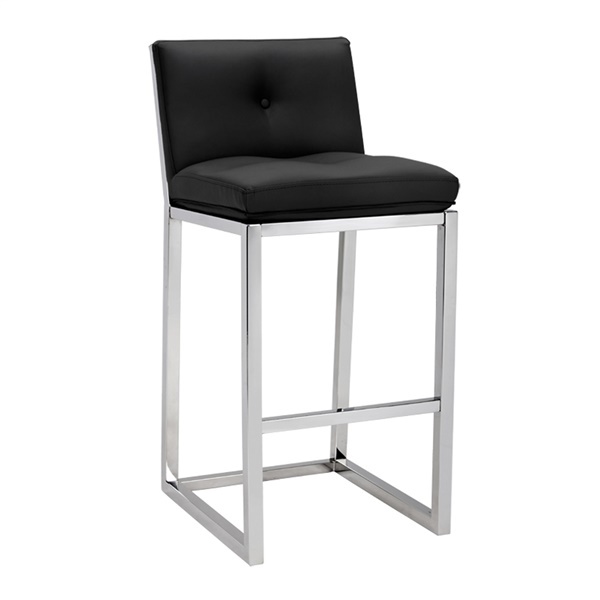 Available in black or white, ensuring you can find a bar stool to complement any setting's décor. Designed for residential or contract environments.